FERC on Monday rejected a plan by CAISO to modify an exemption to its Resource Adequacy Availability Incentive Mechanism (RAAIM) that it grants to variable energy resources such as wind and solar (ER19-951). “CAISO proposed RAAIM as a way to provide incentives to resources to meet their resource adequacy must-offer obligations through a series of incentive payments and charges,” FERC explained. “CAISO also proposed to exempt certain resources from RAAIM, including variable energy resources,” so that they wouldn’t be unfairly penalized for weather and other natural circumstances beyond their control. FERC accepted CAISO’s exemption for variable energy resources in October 2015 (ER15-1825). 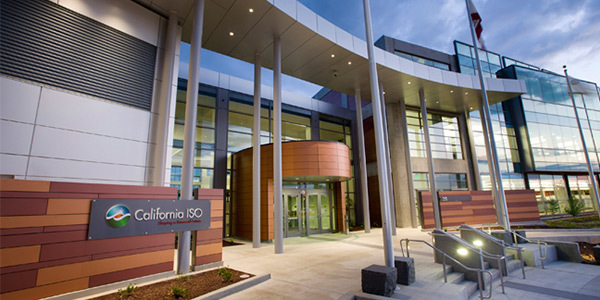 On Jan. 31, CAISO asked to alter the exemption by referencing “participating intermittent resources” and “eligible intermittent resources” instead of “variable resources.” The ISO said the change would clarify the exemption because only solar and wind currently can qualify as participating intermittent resources. The proposed change was a product of CAISO’s Commitment Cost Enhancements Phase 3 (CCE3) initiative. “CAISO explains that it has no approved forecasting methodology for other resource types besides wind and solar, and thus it has not offered RAAIM exemptions for them,” the commission said. Pacific Gas and Electric protested, saying CAISO’s proposed changes would unfairly exclude certain variable energy resources from the RAAIM exemption, including run-of-river hydroelectric plants that don’t have dams and reservoirs. In response, “CAISO asserts that these terminology revisions maintain existing application of the bidding and RAAIM exemptions for wind and solar resources … [and] that forecasting run-of-river hydro resources is outside the scope of this proceeding. “Further, CAISO argues that because its revision maintains the status quo … [it] will have no practical impact because the terms ‘variable energy resource’ and ‘eligible intermittent resource’ are interchangeable.” The changes would substitute more concrete terms for a generic one, CAISO said. FERC decided it wouldn’t accept the wording change because the ISO had failed to show it wasn’t preferential or discriminatory. When it previously accepted the ISO’s proposed RAAIM exemptions, it was so variable resources wouldn’t be unfairly penalized, FERC wrote. provisions clarifying the bidding obligations of resources with limited availability. FERC rejected CAISO’s effort to refund $217 million to scheduling coordinators that the ISO said were overcharged for payments to generators operating under must-offer obligations.